In disseminating important news of the day, via his printed broadsides, John Dunlap played a key role in America's war for independence from Britain. 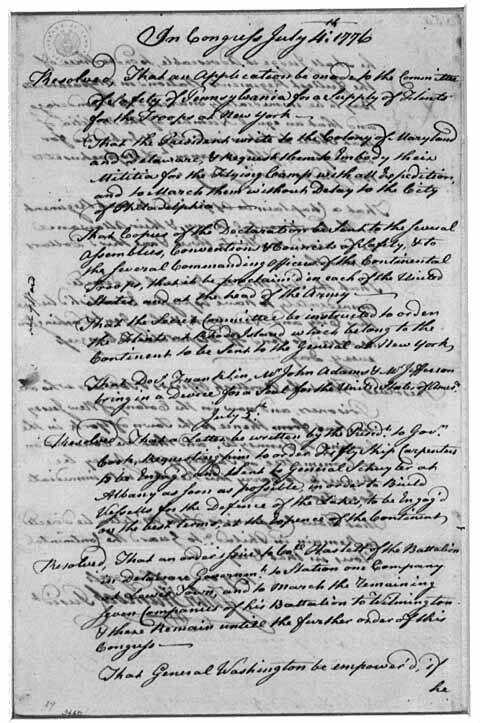 As the official printer, for the Continental Congress, Dunlap created the first printed version of America’s Declaration of Independence. 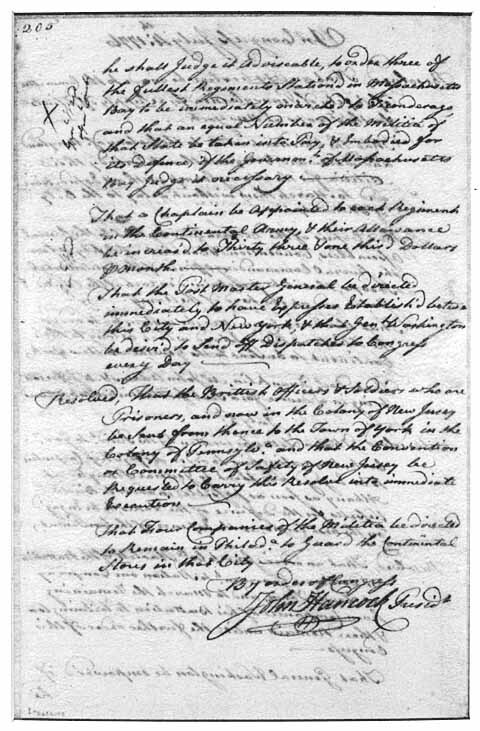 As this document shows, the earliest version of the Colonies' Declaration was only signed by John Hancock and attested-to by Charles Thomson (President and Secretary, respectively, of the Continental Congress). I have wrote to Governor Cooke to engage immediately, and send forward as fast as possible, fifty ship Carpenters to General Schuyler for the Purpose of building Vessels on the Lakes. Fifty are already gone from hence on that Business. Dunlap also created the first printed copy of the U.S. Constitution. John Dunlap (1746-27 Nov 1812), a Scots-Irishman from Strabane, Co. Tyrone, Ulster, printed the first daily newspaper in the US, the "General Advertiser,” in Philadelphia. 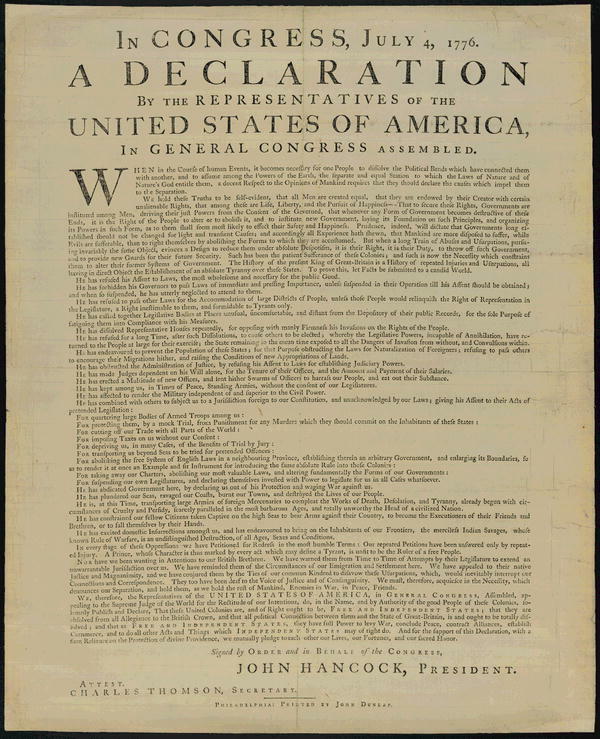 He was appointed printer to the Continental Congress in 1773, printing not only the first copy of the Declaration of Independence - at the time called "the Dunlap Broadside" - but also the Constitution of the United States. John founded the 1st Troop of Philadelphia City Calvary in 1774, seeing action in the campaign of 1776-77 at Princeton and Trenton. John also subscribed £4,000 to the American Army in 1780 and owned 98,000 acres in Virginia and the land on which Utica, Ohio now stands. Click on the top image for a clearer view. Bos, Carole "John Dunlap and His Famous Broadsides" AwesomeStories.com. Sep 06, 2017. Apr 24, 2019.